The true acceptance of a gift is in the use of it. That doesn't mean it has to be expensive or fancy. The best girlfriend gifts I've received so far have been simple and meaningful. And they keep giving over and over again. 1. Friendship: It sounds cliche, but it's not. 2. Knitting Pretty by Kris Percival: This book with its simple instructions and projects kept me focused and probably saved my life when I was depressed. 3. Pillow Talk 50th Anniversary DVD: Starring Doris Day, Rock Hudson and Tony Randall. A cute story about gender roles -- both new and traditional -- and antiquated technology. It's been my bedtime story many a night. 4. 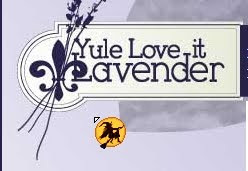 Lavender sachet: Made with Michigan-grown lavender from Yule Love it Lavender Farm. If I'm nervous, stressed, or can't fall asleep, a few deep breaths of lavender chill me right out. Buy several while the farm is open in season. 5. 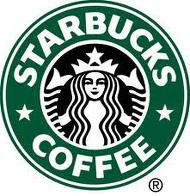 Starbucks Gift Card: Great for those mornings when I want someone else to make my coffee. All these gifts were courtesy of my friend for almost 16 years, Lisa Craig. And my goal this year is to be a better friend in return.